Schedule below is subject to change. 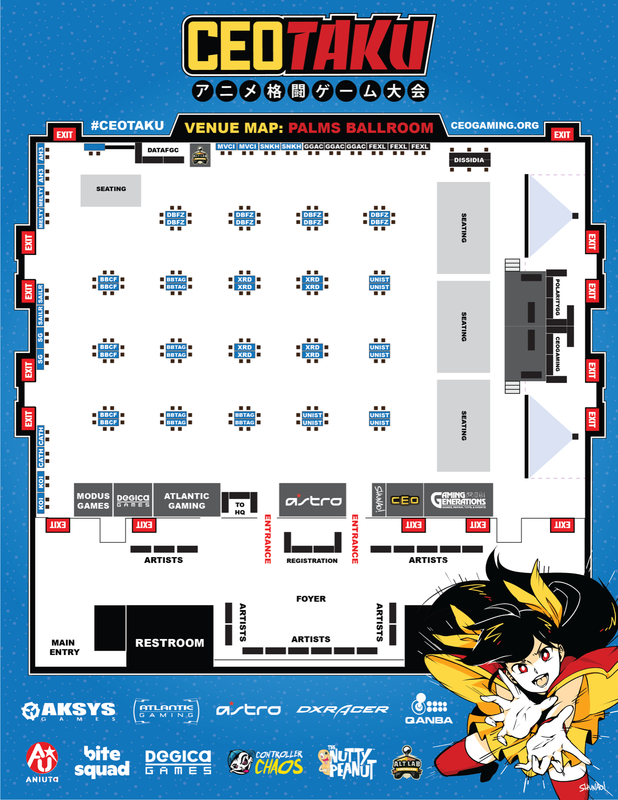 Registration and Doors open at 4 pm, 24 hour access begins for the weekend! No official tournament brackets will begin on Friday, only side events hosted by the community. 10am Official Tournaments begin and continue throughout the day. 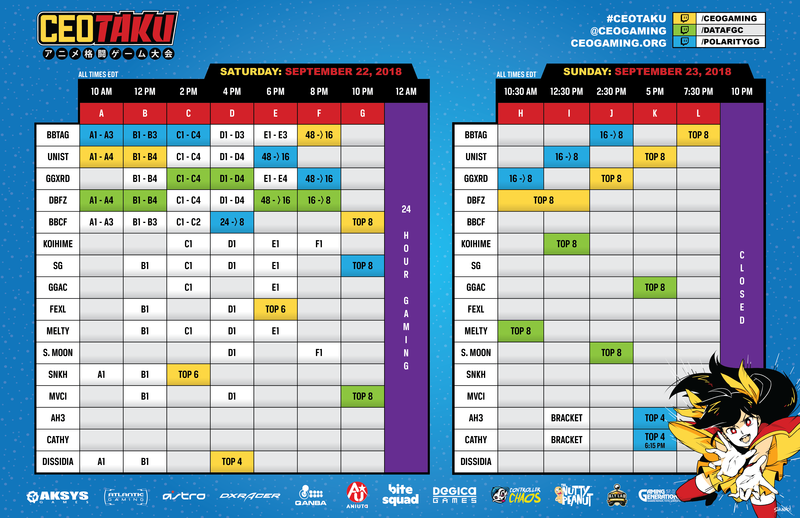 Please see full schedule below once posted as well as check your dashboard through smash.gg/ceotaku for your designated pools time. Both halls remain open for 24 hour arcade and casuals. 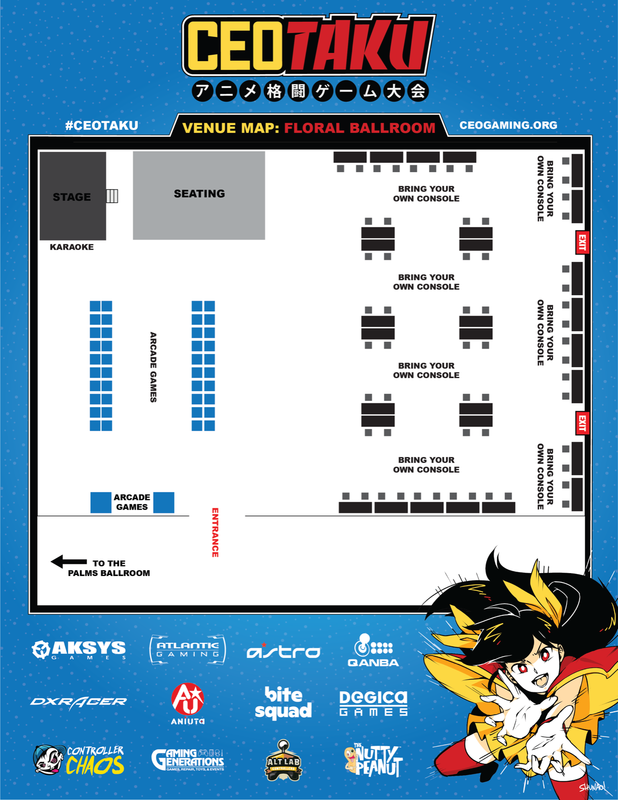 10pm CEOtaku officially concludes once BBTag is over.